There took place at the Brazilian Stigmatine Retrseat House & Conference Center, in Corumbatai, SP, Brazil, on September 8 – 10, 2017, the annual retreat of the Stigmatine Laity of the Province of the Holy Cross. 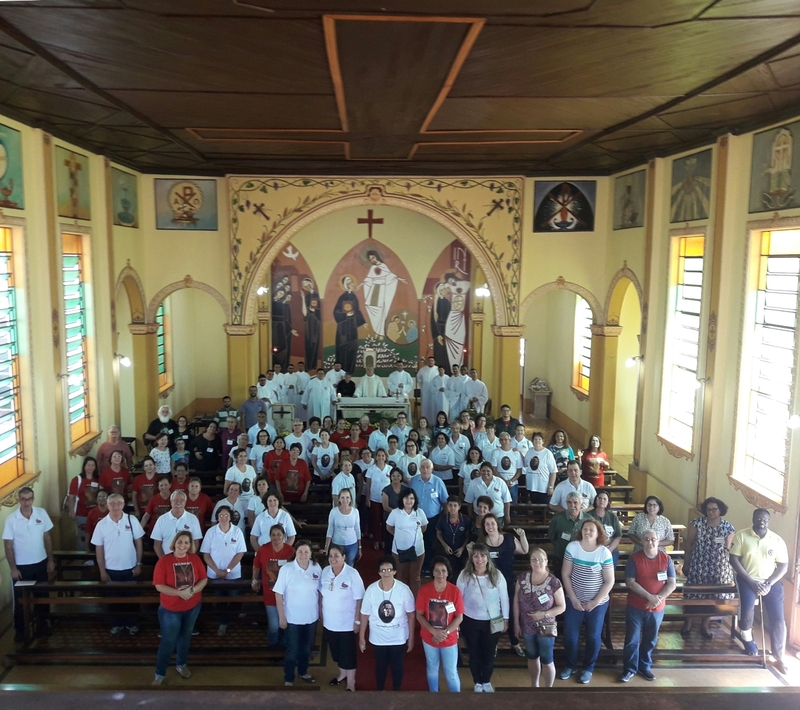 The theme of the retreat was: ‘300 Years of Devotion to Our Lady of Aparecida’. That was a time of deep spirituality, sharing and learning to the Stigmatine Laity who seek, each day, to deep themselves in the knowledge of the Stigmatine charism, as well as to live the Bertonian spirituality, and like St. Gaspar Bertoni to reflect on Mary, who with her maternity, love and charity always intercede for all her children. 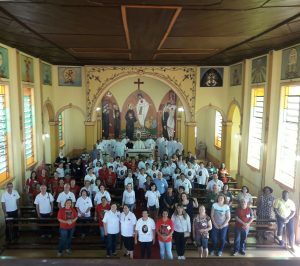 There attended the retreat 85 lay Stigmatines, from the Bertonian Family (‘FABER’) cores, like: Campinas, Itararé, Marília, Praia Grande, São Caetano do Sul, Ribeirão Preto and the newer core, the one of the district of Mooca in São Paulo City. There was presented a beautiful and joyful Night of the Nations, with each core of the FABER representing a country where the Stigmatines are present. That was a moment of much joy, sharing and confraternization among the cores. The preacher was Fr. José Odail Pertile, CSS (Formator at the Seminary of Philosophy [‘Chácara do Vovô’], in Campinas, SP, and also the seminarians Igor Leandro and Rodrigo Alves, students of Philosophy. The preachers added so much on the knowledge of the life of Mary, showing us that, to be truly lay Stigmatines, we have, like Mary, to give our ‘YES’, and to assume our proposal of life following St. Gaspar Bertoni. live deeplly and be testimony of the Bertonian spirit, and to collaborate with their local Church. May the Holy Spouses Mary and Joseph, and St. Gaspar Bertoni, help and lead them!